He has been a foreign correspondent for The Atlantic for over a quarter-century. 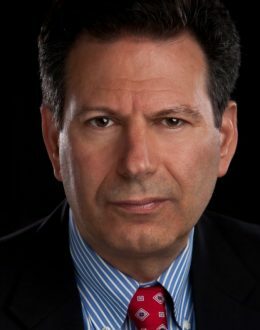 In 2011, and again in 2012, Foreign Policy magazine named Kaplan among the world’s „100 Top Global Thinkers.” Since 2008, he has been a non-resident senior fellow at the Center for a New American Security in Washington, D.C. From 2009 to 2011, he served under Secretary of Defense Robert Gates as a member of the Pentagon’s Defense Policy Board. From 2006 to 2008, he was the Class of 1960 Distinguished Visiting Professor in National Security at the United States Naval Academy, Annapolis. New York Times columnist Thomas Friedman calls Kaplan among the four “most widely read” authors defining the post-Cold War (along with Johns Hopkins Prof. Francis Fukuyama, the late Harvard Prof. Samuel Huntington, and Yale Prof. Paul Kennedy). In the 1980s, Kaplan was the first American writer to warn in print about a future war in the Balkans. Balkan Ghosts was chosen by The New York Times Book Review as one of the “best books” of 1993. The Arabists, The Ends of the Earth, An Empire Wilderness, Eastward to Tartary, and Warrior Politics were all chosen by The New York Times as “notable” books of the year. An Empire Wilderness was chosen by The Washington Post and The Los Angeles Times as one of the best books of 1998. The Wall Street Journal named The Arabists as one of the best five books written about America’s historical involvement in the Middle East. Kaplan is a provocative essayist. His article, “The Coming Anarchy,” in the February, 1994 Atlantic Monthly, about how population rises, urbanization, and resource depletion is undermining governments, was hotly debated in foreign-language translations around the world. So was his December, 1997 Atlantic cover story, “Was Democracy Just A Moment?” That piece argued that the democracy now spreading around the world would not necessarily lead to more stability. According to U. S. News & World Report, “President Clinton was so impressed with Kaplan, he ordered an interagency study of these issues, and it agreed with Kaplan’s conclusions.” Besides The Atlantic Monthly, Kaplan’s essays have appeared on the editorial pages of The New York Times, The Washington Post, the Financial Times, The Wall Street Journal, and The Los Angeles Times, as well as in all the major foreign affairs journals. He has been a consultant to the U. S. Army’s Special Forces Regiment, the U. S. Air Force, and the U. S. Marines. He has lectured at military war colleges, the FBI, the National Security Agency, the Pentagon’s Joint Staff, the Defense Intelligence Agency, the CIA, major universities, and global business forums. Kaplan has delivered the Secretary of State’s Open Forum Lecture at the U. S. State Department. He has reported from over 100 countries. Two earlier books of his, Soldiers of God: With Islamic Warriors in Afghanistan and Pakistan, and Surrender or Starve: Travels in Ethiopia, Sudan, Somalia and Eritrea, have been re-issued, so that all his books are in print. Robert D. Kaplan was born June 23, 1952 in New York City. He graduated in 1973 from the University of Connecticut, where he was the features editor of the Connecticut Daily Campus. In 1973 and 1974 he traveled throughout Communist Eastern Europe and in parts of the Near East. From 1974 to 1975 he was a reporter for the Rutland Daily Herald in Vermont. In 1975, he left the United States to travel throughout the Arab and Mediterranean worlds, beginning a period of 16 years living overseas. He served a year in the Israel Defense Forces and lived for nine years in Greece and Portugal.